I stand by what I said. I hated Bisohock! I also hate Jonathan Ross, parsnips, soap operas and Tennis! Well sir, I may not agree with what you say, but I'll defend to the death your right to say it. 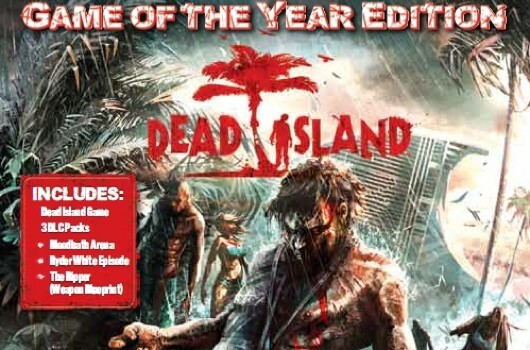 Dead Island: Game of the Year Edition is now official and ready to ruin your summer vacation plans on June 26. First revealed earlier this month by the British Board of Film Classification, the GOTY packs includes the standard game, along with downloadable content "Ryder White," "Bloodbath Arena" and "The Ripper." The tropical zombie apocalypse RPG, which has sold over three million copies worldwide, will be released on PlayStation 3, Xbox 360 and PC for $29.99. £16.99 at Shopto will do for me. I might just pick up the GOTY edition, if only for the fact that I don't already have Ryder White or the Ripper mod. I have been using character builds I found on youtube. They were developed by a dude named TrendKiLLv01 and I've been having fun with them. I got the GOTY Edition for £14.99, 4 days early from Zavvi, not tried it yet.